I hope you all had a fabulous Christmas! I had a great time with my parents and family over the weekend and feel refreshed this Monday morning! I'm excited for a short work week before we head down to Maryland for the New Year! 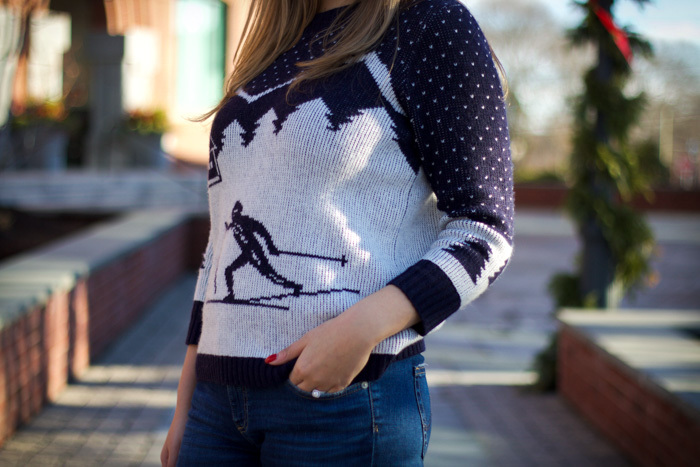 For the past few years I had been on the hunt for an old school looking ski sweater and finally found the perfect one this year! I love the navy/cream combination with the subtle pine tree accents! I have to say, it was worth the wait! Now if only the weather would corporate and grace us with some snow!